John McCone served as Chairman of the Atomic Energy Commission (AEC) from 1958-1960 and Director of Central Intelligence from 1961-1965. In this interview he discusses the Cuban Missile Crisis of 1962. He begins with a story about another nuclear crisis, the Iranian crisis at the end of World War II, in which he says President Truman threatened to bomb the Soviet Union if it did not evacuate northern Iran. He goes on to discuss the White Houses views on Cuba and communism before the missile crisis, and describes several CIA covert programs  all of which were ineffective in bringing down the Castro regime  as well as the failure of the Bay of Pigs. He talks about the surveillance of Cuba in the fall of 1962, the disagreements that arose on the subject, the discovery of the Soviet missile launchers being built and his own reactions to that event. This leads to a discussion of the White Houses response to the Soviet threat. His own view at the time was that the U.S. had to take out the missiles, by invasion if necessary, unless Khrushchev chose to change course. McCone describes the proposals made during the EXCOMM meetings, and the tensions that arose among various members, including Robert Kennedy, Dean Acheson, and Adlai Stevenson. He recalls the process of reaching a resolution with Khrushchev, and the removal of the Soviet missiles from Cuba. He ends by noting his fears relating to the control of nuclear weapons, explaining that he is much more concerned about an accident taking place than about the possibility of political leaders using them. France and England rush to acquire their own nuclear weapons, NATO worries about the threat from the East, and Europe becomes the most nuclear-saturated place on Earth. British and American scientists worked side by side to build the first nuclear bombs. “There was a strong desire on the British side for that collaboration to continue into peacetime. There was no such desire on the part of the United States,” recalls British diplomat Roger Makins, Lord Sherfield. Britain decided to proceed on its own and in 1952 joined the US and the Soviets in what pundits would call “the nuclear club.” General Charles De Gaulle, president of France, wanted to join the club, too, and not rely on the US for nuclear protection. Prestige was also an issue. In 1960, France exploded its first atomic weapon. Since World War II the Soviet Union had had a superiority in conventional forces in Europe. NATO countered by deploying thousands of nuclear weapons. “They were accepted as being perfectly reasonable weapons to use in a tactical battle in continental Europe,” said Sir Richard Powell of the British Defense Ministry. 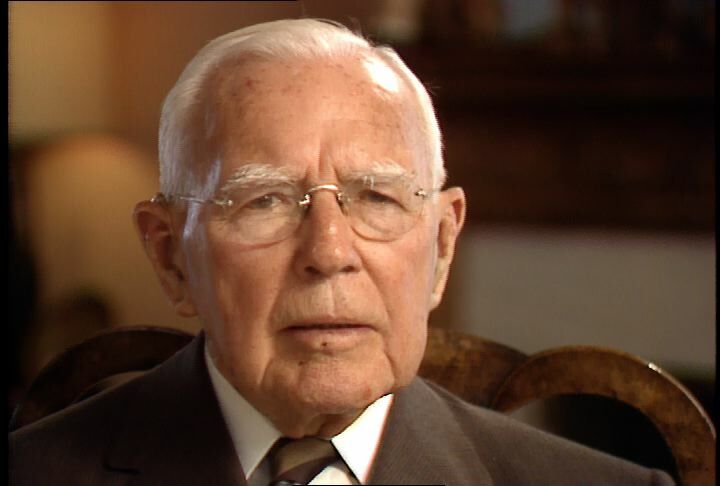 Chicago: “War and Peace in the Nuclear Age; Europe Goes Nuclear; Interview with John McCone, 1986 ,” 03/04/1986, WGBH Media Library & Archives, accessed April 21, 2019, http://openvault.wgbh.org/catalog/V_2023B9C6A2904542844C6F061117EF76. MLA: “War and Peace in the Nuclear Age; Europe Goes Nuclear; Interview with John McCone, 1986 .” 03/04/1986. WGBH Media Library & Archives. Web. April 21, 2019. <http://openvault.wgbh.org/catalog/V_2023B9C6A2904542844C6F061117EF76>.